Suggestions provide a platform for improving customer relations and for increasing your business. However, it is vitally important to approach the customer in a way that s/he will not feel pressured by the suggestion. The customer should not feel that the suggestion to consider a different good or service is a thinly veiled sales pitch. Here, we will offer an example of 'bad' writing in making a suggestion to a customer, and show how to improve on this example. Aside from matters of style and courtesy, it is important in customer service that your English writing be clear and concise. 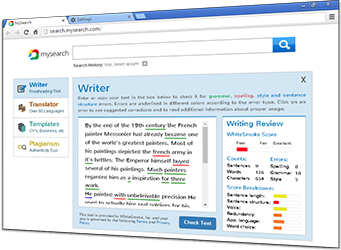 WhiteSmoke's comprehensive grammar software, on-line dictionary, thesaurus and unique text enrichment capabilities can make all the difference in presenting a professional and effective company image to your customers. Sorry, but the producing of the Iron Queen range of taps and pipes for plumbing, which you have been buying from us for over 15 years, is ending. Anyway, most of our castomers moved to the Bronze Queen range well over a year ago, ands we suggesting you do the same. While you can find iron plumbing supplies elsewhere due to overseas production, we would like to suggest you upgrade your plumbing supplies to our Bronze Queen range..
We regret to inform you that production of the Iron Queen range of taps and pipes for plumbing, which you have been buying from us for over 15 years, will be ceased within the next month. This is due to recent changes in national food regulations, which have meant that most of our customer base has moved to our Bronze Queen range. While you may be able to find iron plumbing supplies elsewhere, we would like to suggest you upgrade your plumbing supplies to our Bronze Queen range. As a long term customer, you are eligible for a 10% discount, which absorbs much of the price difference. We thank you for your continued custom, and hope to continue to serve you well into the future. While WhiteSmoke Writing Software can't write the text for you, it can make sure that the effort you put into making the most of your customer relations is not put to waste by poor grammar, spelling, or punctuation. 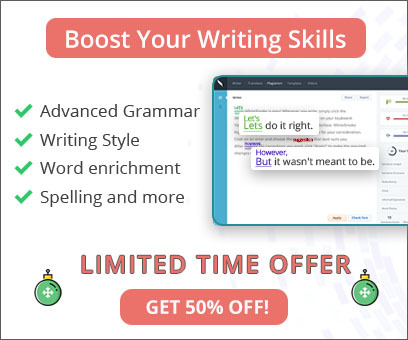 As an all-in-one proofreading solution with a dictionary, thesaurus, and over 600 letter templates, WhiteSmoke Writing Software will make sure English writing in your business is thoroughly professional and devoid of errors.